Vegan Rob’s super-tasty veggie puffs don’t hold back on flavor. 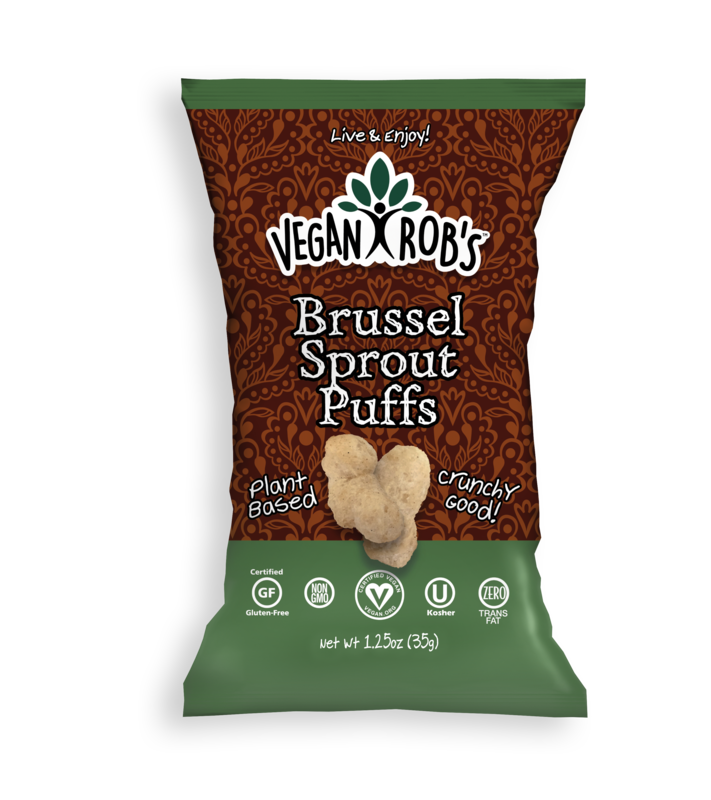 The delicious Brussel Sprout Puffs combine real brussel sprout powder with the perfect balance of garlic and onion for a treat that’s addicting and healthy for you. 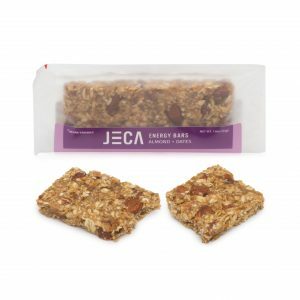 These are made with simple organic and non-GMO ingredients to give you the best nutrition when you snack. 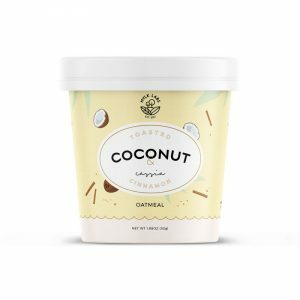 Not only that, they’re gluten-free, Kosher certified, and have only 1g of sugars, making this the perfect choice for vegans who are conscious about their health as well as flavor! When cravings for chips, popcorn and crunchy things can’t be met with a piece of fruit or some nuts, it’s best to stick to the healthiest and most flavorful options, such as these Brussel Sprout Puffs. 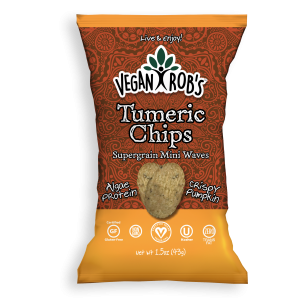 They are so flavorful and even if you find yourself chomping down an entire bag of them, you won’t feel sick or guilty. 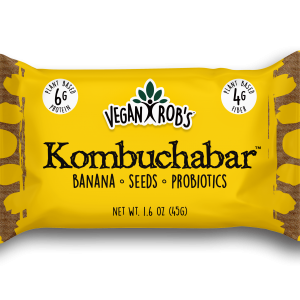 This is all part of founder Robert Ehrlich’s mission: to make snacks that are as healthy as they are tasty. 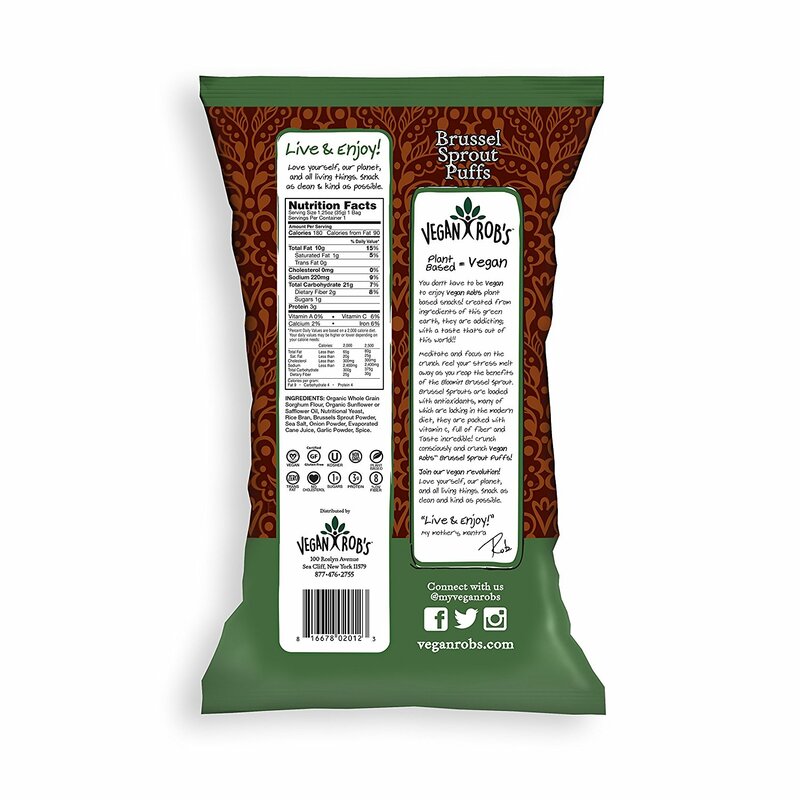 The yummy puffs are also available in Cauliflower and Cheddar flavors. Ingredients: Organic Whole Grain Sorghum Flour, Organic Sunflower or Safflower Oil, Nutritional Yeast, Rice Bran, Brussels Sprout Powder, Sea Salt, Onion Powder, Evaporated Cane Juice, Garlic Powder, Spice.